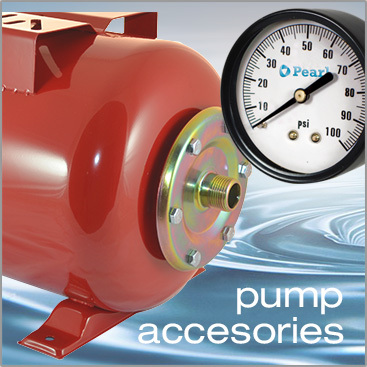 Committed to providing our customers with the highest quality products, PD WATER SYSTEMS has developed these pump stations combining STAINLESS STEEL and LOW LEAD BRASS components. 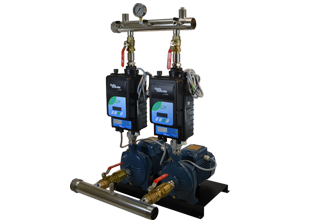 These manifolds are assembled with EUROPEAN STYLE valves to reduce the size of the pump station and bring savings to the total cost. 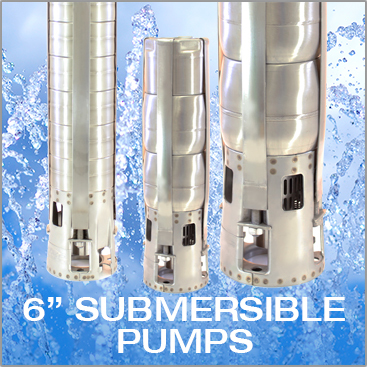 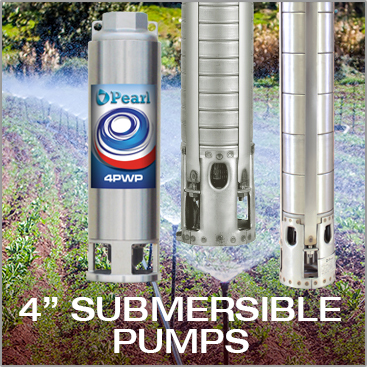 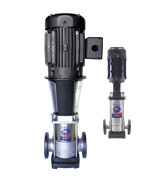 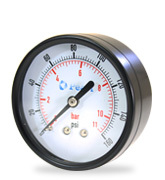 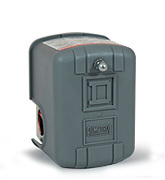 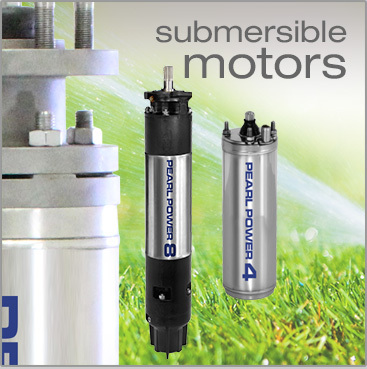 •Pump alternation to guarantee the same lifespan to all the pumps. 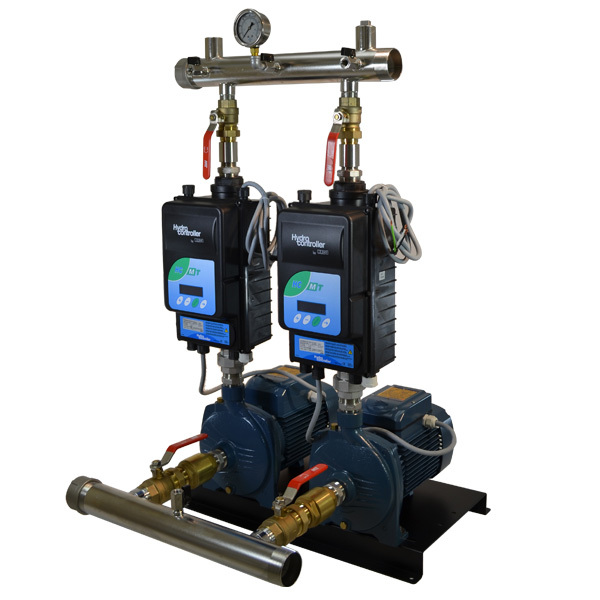 •When all the pumps work at the same time, they keep the same rpm and for this reason we can guarantee the same lifespan to every pump. 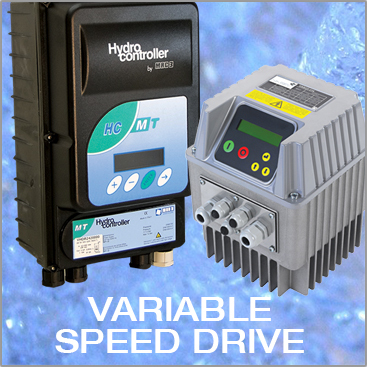 •In normal conditions there is a master pump controller which controls the pump station and the other controllers work as slaves. 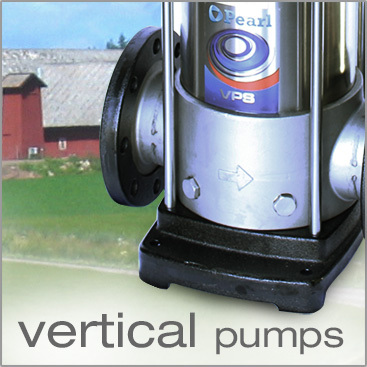 •If for any reason there is a failure in the master, one slave pump controller takes over and keeps the pump station working.